On Wednesday, the Wayback burger chain is launching a milkshake made with dried cricket powder at all its 100 U.S. locations. Known as the “Oreo Mud Pie Cricket Protein Milkshake,” it’s made with “Peruvian Chocolate Cricket Protein powder” — an actual blend of crickets and chocolate you can buy online. 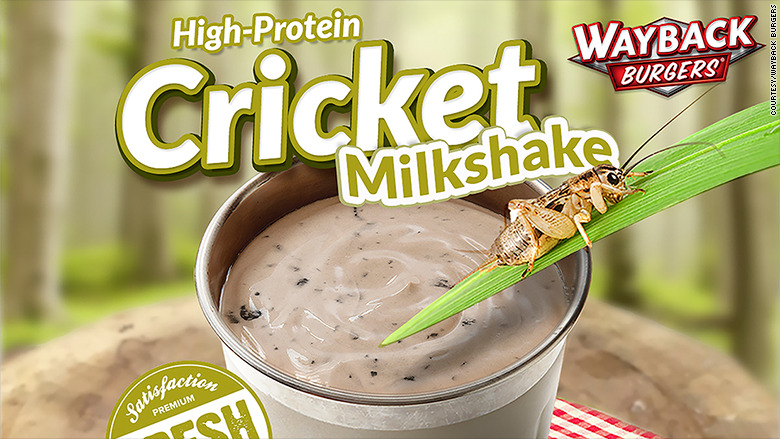 Maffeo said the company originally tried the cricket shake as a April Fool’s stunt at a few locations, but the response was so good they’ve decided to roll it out nationwide. Each shake will contain about 96 crickets and packs a whopping 24 grams of protein.